I wanted a warm winter glove with long cuffs that fit without being too tight. 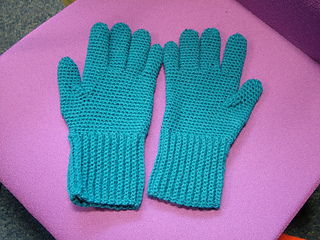 I also wanted to incorporate some adaptability, so by adding or subtracting rows these gloves can fit a lot of hands and can be made easily into fingerless gloves. There is no slip stitch joining, it is all in amigurumi so care is needed to mark the start of all rounds. That all said, this is my first attempt to put a pattern on Ravelry, so please any feedback, criticism is welcome.